1. “Why plan when the plan fails anyway? Estimates of a dredging project are always made but they rarely match with reality”. Estimating dredging works requires knowledge and expertise. Dredging specialists can provide estimates that are +/-10% accurate. Do you meet this accuracy or –even worse–is the accuracy of your estimates unknown? If that’s the case consider engaging a dredging specialist. Dredging specialists ensure you stay within budget and meet your schedule. A solo dredger is not invented just yet. Dredging specialists are used to operating in a team. They bring in other specialists when they realise that precious time and significant money is at stake. Dredging specialists can deal with pressure and ensure an optimal working atmosphere that enables successful realisation of a project. Dredging specialists learn from the past, plan for the future and stay ahead of the present. Dredging specialists always allow for sufficient time to inspect, test and plan dredging operations to avoid showstoppers. 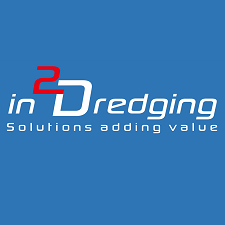 Gross amounts of money are lost when an unfit or unsuitable dredger arrives on site or when work is on day rate and the client has insufficient dredging knowledge. Clear and concise progress reporting is essential to manage your projects. Time is money and in the case of a dredging project we’re usually talking about lots and lots of money. Dredging specialists perform cost benefit analyses during all project phases and come up with typical and outside the box solutions that add value. The money involved in dredging projects is typically in the range of at least millions of dollars, often up to several billion. Every minute counts. A hands-on dredging specialist can significantly increase profits by increasing efficiency. Dredging specialists will get the job done while managing their fatigue levels. Dredging specialists can perform day or night, when the clock is ticking and money is potentially being lost. If your hobby is dredging and you do it for fun, then enjoy your great hobby. Dredging professionals also have a great passion for dredging. The difference between hobbyists and professionals is that the professional focuses on safety and adding value to the project result.